Sometimes people will try to sum up a piece's value based on its importance, especially when they're trying to talk investment. But just take a look at the fickle nature of an artist's fame and recognition over any given course of time to see how silly that can be. An artist's trendiness can change from year to year and can be influenced by all sorts of things out of the market's control. There are arguments over whether or not an artist was valuable or important that have been raging for centuries, let alone whether or not they'll maintain their reputation in the near future. To take one historical example, let's turn to Marcel Duchamp and Andy Warhol. Many art historians consider these two names to be the most important artists of the 20th century in terms of influence. But, they have radically different markets, and the way the market values these equally important figures points to its irrationality. 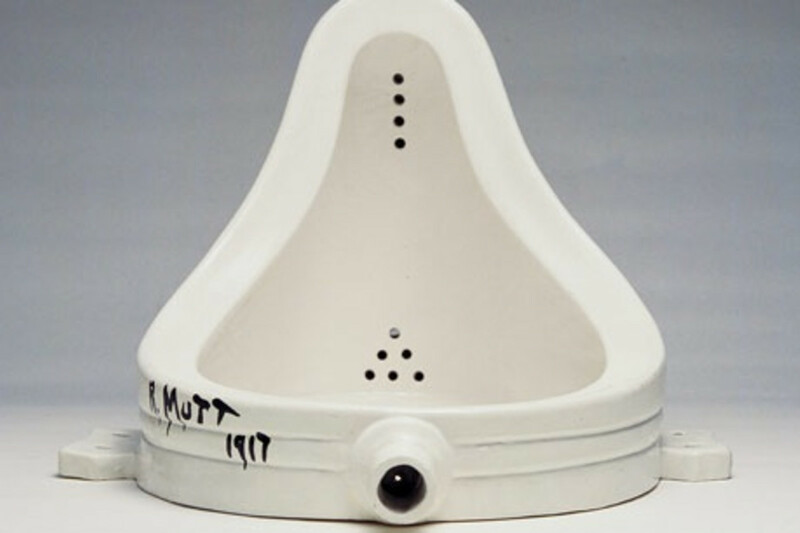 Duchamp made relatively few pieces, and most of them are in museums, so you would assume that a rare Duchamp would bring record-breaking prices based on the standard economic rule of supply and demand. Not so. While they're certainly expensive, they pale in comparison to many other less "important" pieces on the market. On the other hand, Warhol made literally thousands of pieces of art, but a good Warhol rakes in newsworthy sales when they're up for auction. Put a dozen art lovers in a room and you'll have thirty different opinions as to why exactly that's the case. If you really, really are insistent on purchasing art as an investment, the best rule of thumb is to follow in Warren Buffett's footsteps. The Buffet Effect on investing is that whenever Buffet purchases stock in something, its value goes up simply because he purchased it. So, take that principle and direct it to the art market. Track a couple of the biggest art collectors and see what they're buying. Then, go ahead and quickly buy the same. The prices will automatically go up. Just keep in mind that, like investing in any other market, the likes of Buffett and the big art collectors tend to get much better deals than mere mortals do. But, you won't have to worry about that because you're only buying art because you love it, right? Focus on finding the best value for yourself and what appeals to you. We'll go over how to navigate that seemingly impenetrable task of valuing art, along with some hard numbers on what art's worth, in next week's installment of The Collector.